Lenovo (HKSE: 992) (ADR: LNVGY) and IBM (NYSE: IBM) recently announced the integration of IBM’s x86 server business globally, including Malaysia, adding the x86 sales and maintenance teams to its current commercial, consumer and smartphone businesses here. The agreement builds upon a strong history of collaboration that began in 2005 when Lenovo acquired IBM’s PC business, including the ThinkPad line of PCs. Lenovo acquired the System x, BladeCenter and Flex System blade servers and switches, x86-based Flex integrated systems, NeXtScale and iDataPlex servers and associated software, blade networking and maintenance operations. Lenovo and IBM have also established a strategic alliance where Lenovo will serve as an Original Equipment Manufacturer (OEM) to IBM and resell selected products from IBM’s industry-leading storage and software portfolio, including IBM’s entry and midrange Storwize storage product family, Linear Tape Open (LTO) products, IBM Flash storage arrays and elements of IBM’s system software portfolio, including Smart Cloud, General Parallel File System and Platform Computing solutions. This strategic alliance means Lenovo can now offer these products as part of a more comprehensive enterprise IT solution, allowing it to support a greater range of customer needs in data centers. Lenovo is buying IBM’s x86 server business as a whole and is committed to following the IBM x86 product roadmap, including Flex and x86-based PureFlex integrated systems. 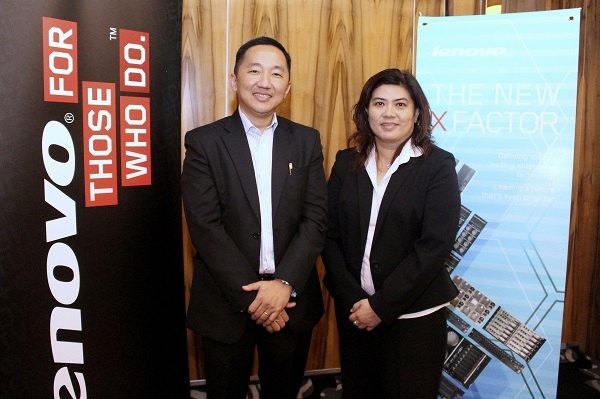 Lenovo will continue to drive innovation in these products. As previously disclosed, upon close, IBM will continue to provide maintenance delivery on Lenovo’s behalf for an extended period of time, so customers will experience a seamless transition with no change in their maintenance support. The transition began on the 1st of October in countries that are part of the initial closing, which includes most major markets. The transaction is expected to close in most other countries later this year, with the few remaining countries following in early 2015.